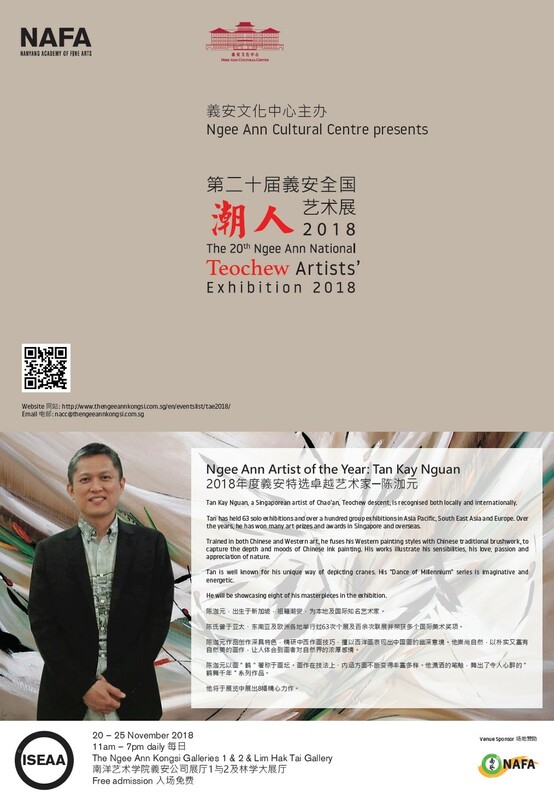 On 19th November 1998, in conjunction with the opening of Ngee Ann Cultural Centre, 66 Teochew artists and calligraphers exhibited 121 works at the Ngee Ann Exhibition Hall. This marked the beginning of the National Teochew Artists’ Calligraphy and Painting Exhibition. Ever since, on every November 19, Teochew artists of Singapore would garner their best pieces for this prestigious event. Acclaimed artists like Choo Keng Kwang, Chang Kwang Wee, Koeh Sia Yong, Chua Mia Tee, Low Puay Hua, and many others are among our regular participants. This event aims to reach out to learned and new audiences with works that engage the sense and the notion of being Teochew.